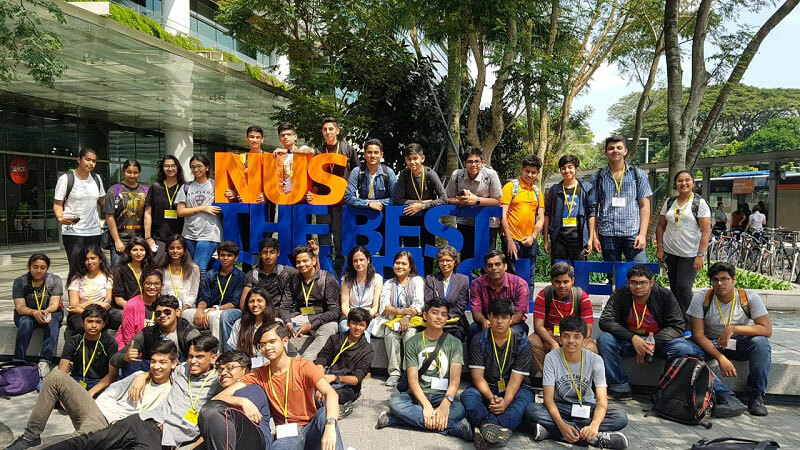 High school students from 4 countries took part at the science camp at National University Singapore (NUS) in December 2018. Of the 80 students they were made 12 groups with six members each on the last day and conducted science quiz on all the subject matter taught. Sanjanasri Vedavyas and Ranjani Suraj of 9th grade and their team stood first winning the gold medal for the quiz. Topics covered were genomics, genetic engineering, 3D printing, robotics, autonomous vehicles, exposure to hands on working at science labs, talks from google experts and more. CONGRATULATIONS SANJANASRI AND RANJANI ! !